The highly controversial proposed development, proposed by developers Sekisui House has got the support from Tourism Australia’s new chief, John O’Sullivan who believes the luxury high rise apartments can co-exist with the natural environment. This support has been echoed by John Borgetti, Virgin Australia CEO, who at a recent tourism event held by Mal Brough MP, stated the proposed development is exactly what the Sunshine Coast needs to be able to tap into the high end travel and business market. The Virgin Australia CEO also revealed that the Sunshine Coast is not a tourist destination because it does not have a clear identity. This brings us to the Question: ‘Does the Sunshine Coast need more tourist attractions to really put us on the map as a genuine tourist destination?’ If so, what would you like to see? 'Mr O'Sullivan hails from Brisbane and his family has property at Kawana. He said he did not know the specifics of the Yaroomba proposal, but added that Tourism Australia was "pro introduction of new infrastructure". He believed the Sunshine Coast's "sweet spot" was its natural beauty. 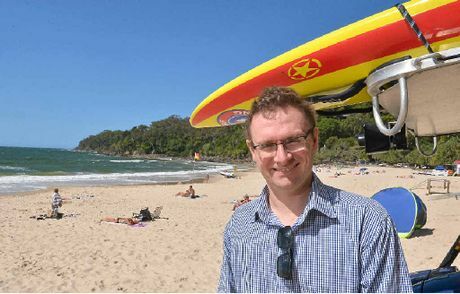 He said the new National Visitors Survey and International Visitors Survey showed tourists were finding their way to the Sunshine Coast despite an antiquated railway line, clogged Bruce Hwy and small airport.